Soap and Lotion Bar Giveaway. I’m so excited to be hosting my very first giveaway!!! This is something I’ve been wanting to do for a while, and I finally have an excuse. In honor of reaching our first 100 likes on our farm’s Facebook page (you can see it here) and reaching over 3,000 views in one month on this blog for the first time last month, I’ll be giving away two bars of our cold process soap along with one of our lotion bars (scented with rose essential oil) to one lucky winner. If you’ve never heard of lotion bars, they’re made of nourishing oils and beeswax that you use by simply rubbing between your hands. And since they don’t contain any water, they’re preservative free. 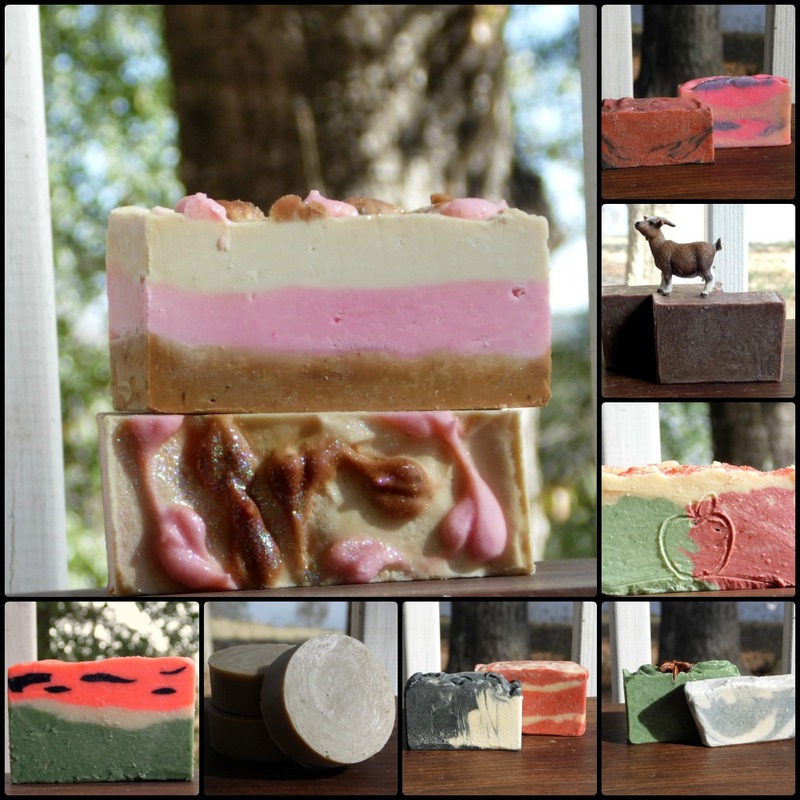 Some of our soaps (most of our soaps are made with goat milk from our own herd). You can visit our website’s soap page here. Now for the legal part: One winner will be chosen at random when the contest ends on February 17, 2013. The winner will be contacted by email to obtain their mailing address – if after 48 hours the winner has not responded a different winner will be chosen. As soon as possible, I will mail out the prize. When you sign in to Rafflecopter make sure to include an email address so that I can contact you. Next post: One Happy Boy.